Saif ul-Malook, 60, fled Pakistan on Saturday for fear of his life. 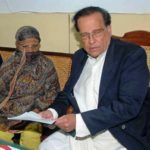 The lawyer who defended the Pakistani Christian woman Asia Bibi* against blasphemy charges and secured her acquittal at the Supreme Court says he does not expect a review of her case to take place. 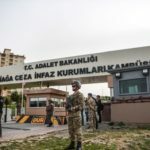 As part of its agreement with an Islamist political party to stop its violent protests, the government is reported to have promised that it would not seek to stop the judicial process. “There is no new ground available to challenge the decision,” Saif ul-Malook told World Watch Monitor by telephone today. Malook, 60, who fled Pakistan on Saturday for fear of his life, added that he would “definitely come back” to defend Asia Bibi if the review was allowed, but said “I expect the review petition will not be allowed because it will be declared infructuous” (a legal term meaning “unfruitful”, or un-necessary). Aasiya Noreen, commonly known as Asia Bibi, a Christian mother-of-five, received the death penalty in 2010 after she was allegedly found to have made derogatory comments about Islam’s prophet, Muhammad, during an argument with a Muslim woman. Following her acquittal last week, based on a lack of compelling evidence, a petition for a judicial review of the decision was filed by the initial complainant against her in 2009, the local village imam. 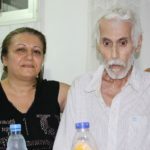 He had also earlier threatened that, if the law failed to condemn her to death, he would call on ordinary Muslims to carry out her execution instead. Hard-line religious groups responded to the acquittal with mass protests, blockades and threats that paralysed the country. On Friday night the government reportedly reached an agreement with the Islamist political party Tehreek-e-Labaik Pakistan (TLP), with a review of the decision part of the deal, alongside the promise that Noreen cannot leave the country while the judicial review is pending. After the deal was signed, TLP representative Pir Mohammad Afzal Qadri said a plane that should have taken Noreen to a Western country had left without her. The TLP had previously complained that “Western forces are trying to get Asia Bibi out of the country but she should be hanged”. Pakistan’s Information Minister Fawad Chaudry told the BBC that Noreen’s security had been “beefed up”. “Yes, there is a situation and we are dealing with it, but I assure you that her life is not in danger,” he said. Noreen’s husband, Ashiq Masih, through his family’s spokesman Joseph Nadeem, has requested asylum with the UK, US and Canada. He told German newspaper Deutsche Welle that the agreement between the government and the TLP had “sent shivers down my spine. My family is frightened, my relatives are frightened and my friends are also frightened … The current situation is very dangerous for us. We have no security and are hiding here and there, frequently changing our location.” He also said his wife would have to stay in jail until any review had taken place. Any review would be presided over by a whole new Supreme Court panel, without the three judges who ruled on Noreen’s case, TLP leaders said on Friday. One of those three judges, Justice Asif Khosa, was also involved in upholding the death sentence of Mumtaz Qadri, the bodyguard who killed Governor Salmaan Taseer in the capital in 2011. Taseer was shot by Qadri for his support of Noreen. After news broke that the Chief Justice Saqib Nisar was taken to hospital with heart problems on Sunday, Malook saluted him and his two colleagues at the Supreme Court for the “milestone ruling” that he said had helped to “uphold the supremacy of the rule of law”. Reports said that Nisar had been shocked at how fatwas had been pronounced against him in such a blatant way, especially when the 56-page ruling had made it clear how much the three judges had based their decision on guidance from the Quran and hadith. Nisar had promised back in April that he would hear Asia Bibi’s “soon”, despite the fact that, for his own personal safety, he could have simply let it wait beyond his own retirement, due in January 2019. A local source told World Watch Monitor today that after the tumult of last week, a semblance of calm has returned to Pakistan. Schools have re-opened, while churches met – without incident – yesterday, albeit with increased security. Police have arrested over 100 people who were involved in damaging property during the protests. Pakistan’s Information Minister Fawad Chaudhry told Al Jazeera the government “had been able to defuse the tension and the protests without hurting anyone, and that’s a success”. “Extremism is a reality and previous governments have not done enough [on this]. Now this government will start a process … to take this issue seriously and we have to bring certain reforms in education and elsewhere,” he added. Prime Minister Imran Khan had earlier urged the nation not to let extremists take the law into their own hands. But the Human Rights Commission of Pakistan said the government giving in to TLP’s demands was “a mockery of the rule of law”. Meanwhile, the prime minister’s ex-wife, Jemima Goldsmith, tweeted: “Not the Naya [new] Pakistan we’d hoped for. 3 days after a defiant & brave speech defending the judiciary, Pakistan’s gov caves in to extremist demands to bar #AsiaBibi from leaving Pak after she was acquitted of blasphemy, effectively signing her death warrant”. “If a state cannot stick to its orders and if its citizens [can] challenge the writ of the state and do not follow the orders and law, then this is a big question mark on state’s stability,” Kashif Hussain, a social media writer and activist, told AsiaNews. Twitter has meanwhile suspended the account of the leader of the TLP, Khader Hussein Rizvi. In recent years, Pakistan, which is 96 per cent Muslim, has seen a surge in accusations of blasphemy, particularly against members of religious minorities. 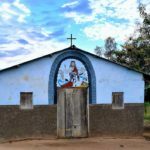 For example, Pakistani Christians make up only around 2 per cent of the total population, but over a quarter (187) of the 702 blasphemy cases registered between 1990 and 2014 were against Christians. Analysts say that accusations are frequently used to settle scores, or as a front for property grabs. Four years ago yesterday, on 4 November 2014, a mob beat to near-death a Pakistani Christian and his five-months pregnant wife after it was alleged that she had set fire to some pages from a Quran. Shahzad Masih, 26, and Shama Bibi, 24, were then thrown into the large kiln where they worked as bonded labourers. They were burned alive. The family of Shahzad Masih and his wife, Shama Bibi, pray at the site of their murder. In April 2016 a Lahore court allowed the kiln’s owner, Yousuf Gujjar, to walk free and in November 2016 sentenced five men to death and jailed another eight men for two years. In March the same court acquitted 20 other suspects. As in Noreen’s case, an initial accusation was followed up by a local imam broadcasting over the mosque loudspeaker that Christians had committed blasphemy. Here, people from five villages formed a mob which beat the couple unconscious with hatchets and sticks, then doused them in petrol and threw them into the brick kiln. Like Noreen, they could have escaped after the initial incident. 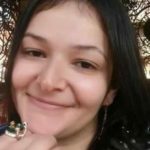 In her case, she had no idea a case would ensue and continued to work picking berries, until five days later she was dragged in front of a mob of 1,000 people, and forced to “confess” to blasphemy. In the couple’s case, they were effectively modern-day slaves, who could not leave without paying off a huge interest-compounding loan from their brick kiln employer, which bound them to work for him. 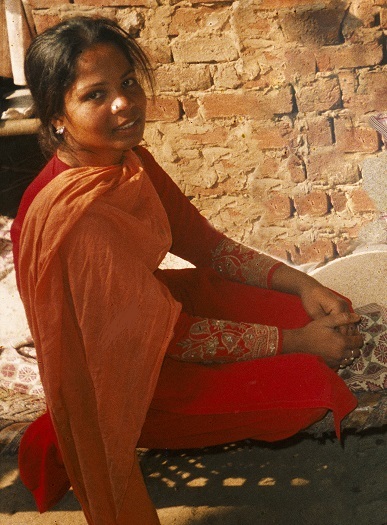 Also, just days before Asia Bibi’s victory in the Supreme Court, World Watch Monitor reported on the case of a 20-year-old Pakistani Christian who had been sentenced to life for blasphemy, despite having learning difficulties. *Bibi is a respectful term for a married or older woman in Pakistan and other parts of South Asia, and not a family name.